On Saturday, Dec. 2, Cardinal Nights brought to Dinkelspiel one of the entertainment industry’s craziest, most controversial comedians, T.J. Miller. 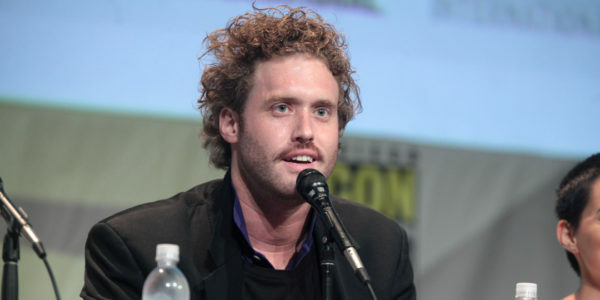 Best known for playing the aggressive, eccentric entrepreneur Erlich Bachmann on HBO’s “Silicon Valley,” Miller is a Denver, Colorado, native not afraid to use shock value in his comedy. A friend of mine referred me to a recent Jim Carrey interview in which Carrey essentially appeared to be having some sort of existential crisis, and the Internet went berserk. Miller’s media appearances aren’t quite at that level, but to some extent, the Carrey interview reminded me of articles I had read about Miller. T.J. Miller did a relatively polarizing interview with “The Hollywood Reporter” after he left “Silicon Valley,” which brought him some negative attention, but my favorite interview is one with “Vulture” in which his curious idiosyncrasies truly shine through. Miller’s newest film, “The Emoji Movie,” involved in a stunt in which he parasailed into the Cannes Film Festival in order to publicize the film. “The Emoji Movie” ended up as a critical flop but box office hit, something of which he adamantly talked about during his set on Saturday. I wanted to know more about the real Miller, and I’m a big fan of “Silicon Valley,” so I decided to attend Miller’s performance on Saturday. I was bracing myself for a wild stand-up set involving a lot of potential ranting, but Miller’s performance very pleasantly surprised me. Although it was rife with peculiarities — most notably a trombone, which he played, as well as a mime sequence set to music involving a package of diet Dr. Pepper and an instance where he started juggling balls — Miller seemed to greatly be enjoying himself and expressed that at many points during the performance. Often, comedians who come to college campuses for performances may express a sense of disappointment for not having a more traditional comedy venue, often angrily yelling for the sake of comedy, but Miller seemed genuinely excited to be performing. This does conform to statements he’s made in the past — he actually prefers stand-up to television because of the live nature of the medium. In those moments, my respect for Miller started to grow immensely. Rather than use the audience as a tool for comedy, Miller embraced the setting and the audience, enjoying himself as a performer and bringing the Stanford community along for the ride. Comedy at Stanford wasn’t a burden for him or an item to check off the list — it really felt like we were roped in for a unique performance crafted just for us, an environment that many talented comedians aren’t able to create. Miller did utilize quite a bit of yelling, starting off his set with a loud joke about New Yorkers. He casually referred to his wife as Kate, introducing a new sense of familiarity and intimacy with the Stanford audience, which brought the audience around to his side. Miller also used a number of audience engagement techniques as well — he called out a young couple and asked about their pets and invited a student wearing a Santa hat and Santa shorts onstage to break a piñata shaped like a cow. Miller’s stand-up could be deemed untraditional, but his set of jokes felt so natural that I struggle to place it outside of the stand-up realm. His reincorporation technique of including stories about both the trombone and Santa hat breathed new life into the props, which he carelessly scattered onstage to the great amusement of the audience. After his performance, I briefly got to meet Miller — he politely shook all of our hands and took photos with the Cardinal Nights staff. I’m not sure what I was really expecting — whether I thought Miller would suddenly start yelling at all of us for wanting to meet him or whether he retains this public persona for the sake of remaining as the controversial comedian that we’ve grown to know (and love?). I don’t know how to reconcile Miller’s public media appearance with his persona last Saturday — they seemed like two sides of the same coin. Who is the real T.J.? I don’t know if we’ll ever know — but honestly, I’m satisfied with that mystery. Contact Olivia Popp at oliviapopp ‘at’ stanford.edu. Olivia Popp '20 is a self-proclaimed TV junkie who has an eternal love-hate relationship with the entertainment industry and her home state of Michigan. Contact Olivia at oliviapopp 'at' stanford.edu with TV recommendations or musings about barbecue sauce.